Christianity Cove is the web's #1 resource for Sunday School lesson ideas, crafts, games, activities and tips for both teachers and parents. They have over 700 FREE Sunday School lesson articles on their blog and 26 best-selling resources in their library of products. 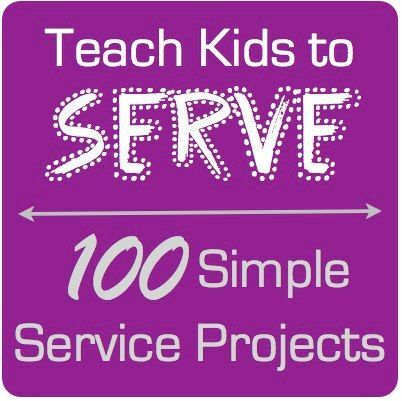 We received two fabulous PDFs to review from Christianity Cove to review 100 Simple Service Projects and The Divine Dozen: 12 Parables of Jesus Every Child Should Know. I was very excited to review both of these but the 100 Simple Service Projects was the one that excited me the most and the one that I couldn't wait to start reading. As you may know I am a huge advocate for volunteering. I have blogged many times about our volunteering adventures and I am always looking for new ways our family can lend a hand. This 56 page eBook is packed with fabulous ideas for the entire family. The 100 service projects included are very child friendly and there are ideas oriented towards your own family, neighborhoods, communities, America and the World. There is even valuable information by Ryan's Well Foundation for children who want to create their own charities. Several of the recommended projects are things we have done in the past, like Operation Christmas Child, writing letters to soldiers, volunteering at a local horse rescue and singing at a local nursing home. And last Summer we actually helped raise money for a cancer charity called Alex's Lemonade Stand, which was started by a 5 year old girl with cancer. We got our homeschool group involved and had a blast. "Some statistics show that children who learn to be charitable at an early age will consider charity a lifelong practice, and children who are not expected to participate tend to become self-absorbed adults." Make up a coupon for children that simply says, "This week I promise to ____at least_____times." Adopt a Park and Keep it Clean. Offer to help clean up at the local zoo. Though I am very familiar with volunteering (I volunteered for 7+ years at a nursing home when I was a teen) I still learned a thing or two (okay maybe more) from this eBook. This is an eBook that I read myself. Then I discussed it and the service project ideas with my children. So what did my 7 year old do....well she decided she wanted to create a blog, Adventures Of A Homeschool Cowgirl. One of the main purposes of her blog is to raise money for the horse farm she volunteers at Save The Horses. We have set up a paypal donation button on her blog and she has pictures of the horses scrolling on the sidebar. She is very passionate about helping animals in need and thanks to some encouragement from her parents and this eBook she has seen that one person (no matter how small) can make a difference. The second PDF we received was The Divine Dozen: 12 Parables of Jesus Every Child Should Know. As a Christian family who does not attend Church but does wish to instill Christian values, principles, character qualities and virtues in their children, I really appreciate that there are fabulous resources by amazing companies like this for our family to utilize. I used this 88 page eBook with my 7 and almost 6 year old. I think you could use the eBook with children in grades Kindergarten - 6th grade. 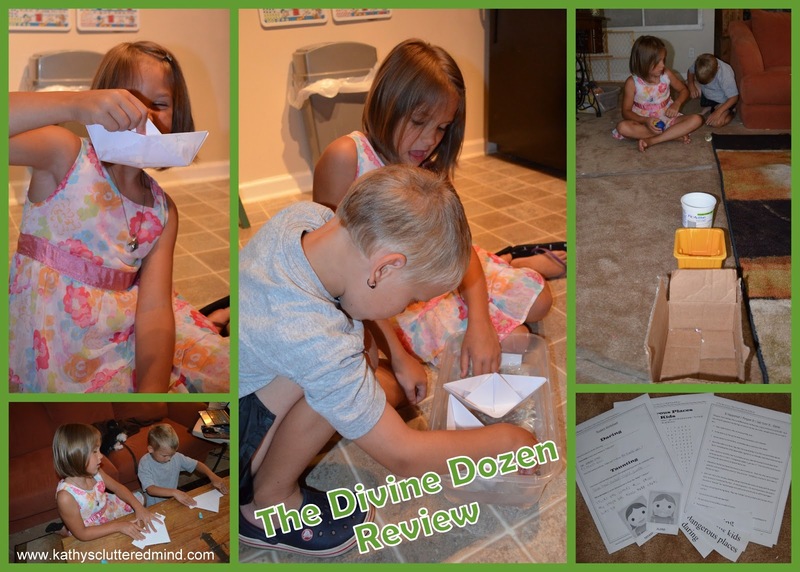 The Divine Dozen provides lessons on 12 Parables of Jesus in an easy to understand way for children. The stories are fabulous and are all parables told by Jesus to his followers. These parables help children learn that their actions have consequences. The parables are explained in a great way and focus on the positive rather than just the harsh truth. 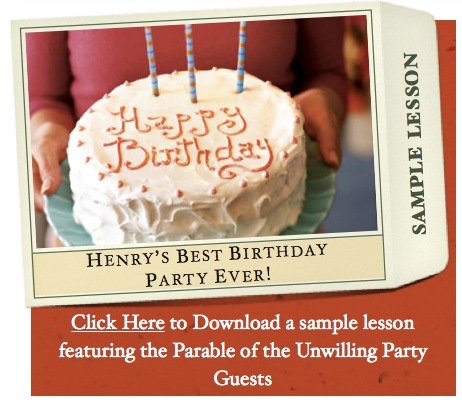 Each parable follows the same easy to use format and provides activities to help reinforce the lesson. The complete lessons take about 30 minutes. Lesson Capsule - overview of the Parable being taught and how to apply it to modern living. The Parable - the parable along with corresponding scripture. The scripture is from the NIV Bible. Preparations - shows you what you need before starting the lesson. The Lesson - brings to life the words of Christ that kids can use in their everyday lives. The lessons are scripted to make it very easy for the teacher or parent. The teacher/parents words are in bold. The lessons is presented through a story line and/or play. Activity - follows the lesson and reinforces how the parable applies to everyday life. Activities vary. Sometimes they are games, snacks or a worksheet (provided). We jumped around and focused on the parables that would assist my children with their current struggles. A few of them we read more than once. We really enjoyed parable 3, The Weather Signs, which discusses reading the warning signs God provides us with everyday. In this lesson the parable is explained through a story about two boys out on a boating trip. One boy pays attention to the weather and says they should turn back....but the other boy ignores the signs and puts himself in danger. Both the kids and I loved how this story was presented. While I read the story they got to play/act out the story with paper boats in a tub of water. I encourage you to check out Christianity Cove's website and also read their statement of faith. Christianity Cove has lots of great freebies. They have over 700 FREE Sunday School lesson articles on their blog PLUS you can also sign up for 4 FREE Bible Games. The lessons taught us important things. We learned about why we need to listen to mommy and daddy. I liked the fun games and the stories. We had fun making boats and playing the story. The Divine Dozen: 12 Parables of Jesus Every Child Should Know PDF is $24 for the and 100 Simple Service Projects PDF is currently $19.95(will be raised to $29.95 after 250 are purchased). Both have an unconditional 100% money-back guarantee. Click here for more Christianity Cove reviews from the The Schoolhouse Review Crew.